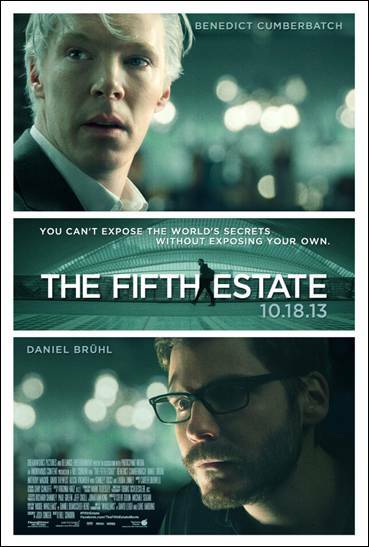 Alison Shaffer: New Poster form THE FIFTH ESTATE film. It opens in theaters this October. New Poster form THE FIFTH ESTATE film. It opens in theaters this October. shh, wait, this isn't a secret! Here is the new poster for The Fifth Estate and read on for more about the film coming out in this October. A perfect month for movie watching and popcorn eating! Maybe even pumpkin coffee.